There I was at Athens Airport in August 2004 when I observed a couple of familiar looking faces; ‘I must have done interpreting for them’, I thought. Later it dawned on me: I’d just seen Roy and HG. And so began my Olympic Dream. 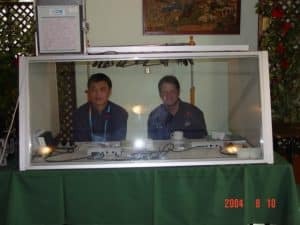 The Olympic Games that dominate our lives every four years have great significance for interpreters and translators and have generated considerable work over many years. Many of us were involved in the Sydney games, including a lot of volunteers; Beijing was huge and interpreters from all corners of the world set up camp for several months. Since then we’ve had London and Rio – different parts of the world and different languages each time. 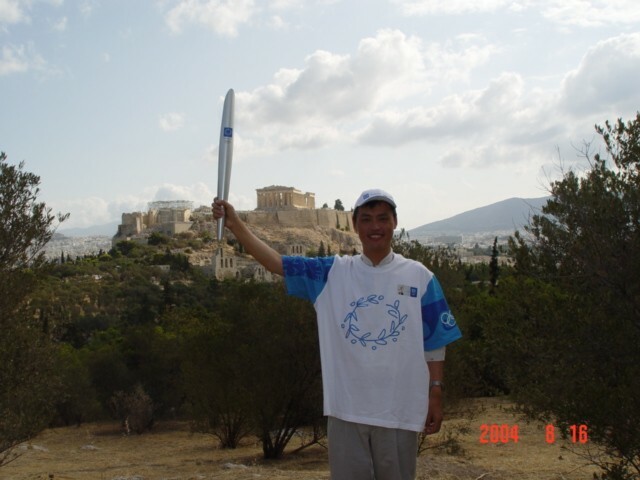 Back in 2004 thought, it was a surprise to be invited by an Australian client to be part of the Athens Olympics experience. You might wonder what a non-sporty, Australian-Chinese interpreter might have contributed in a Greek-speaking country. A lot at the time! The Beijing Olympics were coming up next and the Chinese wanted to soak up as much knowledge and experience as they could, not to mention gold medals. 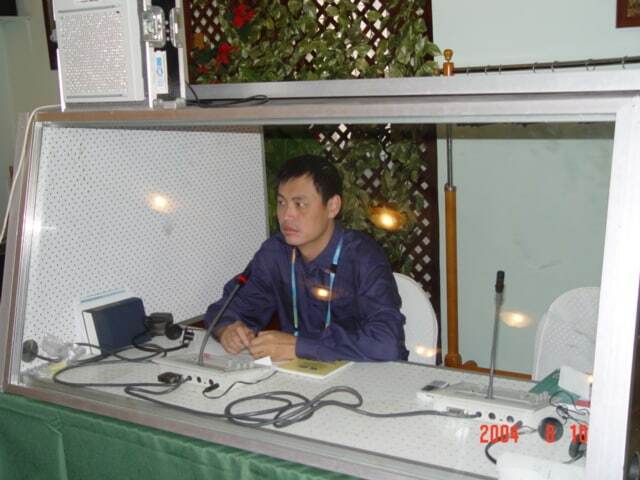 Interpreters and translators play vital roles in the staging of an Olympic Games. Without us there would be no bids, no innovative designs, no media reports or press conferences, no publicity, signage, or reporting¾no Games perhaps! I am in the couch potato class when it comes to sport, but sporting prowess wasn’t a prerequisite for my assignment in Athens. The Australian company I worked for had supplied services to many of the recent summer and winter Olympics and hoped to continue doing so in Beijing. I was there to facilitate communication with their Chinese guests, observe operations and to hold training and negotiations about Beijing. I recalled my impressions of Greece as a young student in China; no other country has benefited the world as much as Greece. As I prepared for the assignment I was somewhat surprised at the number of parallels between Greek and Chinese history. Both are very long and the people very proud. Ancient Greek civilization with its philosophers, scientists, great artists and architecture blossomed from 3000 BC; its legends, gods and goddesses have Chinese counterparts: Alexander the Great reminded me of Genghis Khan. Greece was also the birthplace of democracy but was ruled by tyrants and kings during various periods of its long history. The Greeks were great seafarers, as were the Chinese; Socrates, Plato and Aristotle versus China’s Confucius, Sunzi and Laozi; the Gate of Heavenly Peace and Hadrian’s Arch and now there is the Olympics. During my two weeks in Athens I was privileged to visit a number of the historic sites and museums (all free to delegates like me) and to observe a further similarity¾both countries are riddled with unearthed artefacts; many were discovered during the mass construction of numerous Greek Olympic venues. I was particularly struck by the media centre with its 600 or more work stations ready to bombard our senses. We visited the main stadium both before and after the opening ceremony but not before the secrecy shrouded intellectual property of the staging company had been dismantled. The city of Athens underwent enormous infrastructure development for the Games, including new freeways, extensions to the metro system, new rail lines and a tram system. Beijing built new subway lines and transport systems and who can forget The Bird’s Nest and the Cube! My client had arranged a conference format to provide information to their Beijing guests. Conference (simultaneous) interpreting requires advanced skills, training and concentration, not to mention considerable experience. Conference interpreting requires a team – usually 2 or 3 interpreters take turns in a soundproof booth receiving the audio from the speaker via headphones and simultaneously translating it into Chinese (in my case) to reach the Chinese speakers via headphones. The organisers had recommended a new employee who had just returned from study in China as well as the Chinese interpreter accompanying the Beijing delegation to work with me, yet it turned out that not a word was interpreted by either of them due to inadequate language skills and no conference interpreting experience. On my own, I simultaneously interpreted for three days¾of course an almost impossible challenge. My client, I believe, was very grateful. I awarded myself the Herculean gold medal for interpreting! Aside from watching some of the Olympic events, we met with many top officials from ATHOG and BOCOG as well as some Australian dignitaries. I also interpreted for Sports Minister, Rod Kemp, AOC President and Australian Chef de Mission, John Coates and the Australian Ambassador; the view from the Ambassador’s residence over Athens was spectacular. Perhaps the other challenging aspect to my work was getting my tongue around Greek names (just how many syllables was that and did I get them all back?). The heat certainly took its toll, but luckily informality was the order of the day and suits and ties were left in the suitcase. One Chinese journalist died from heatstroke, we heard. After so many years working in smoke-free Australia, it came as a shock to be bombarded everywhere with cigarette smoke: in supermarkets, restaurants, offices and in the interpreting booth as the technician puffed away. Another challenge was to diplomatically convey, in sign language, that they please stop. It was a wonderful experience to be part of this major world event and to realize what an important contribution interpreters make. And nearly 15 years on it is still true – how about a few basic rules on the pronunciation of athletes’ names¾surely this isn’t too much to ask of our broadcasters, after all, there is a wealth of talent in our profession to guide them. Let’s start with BeiJing not Beizzzhhhhing; even after the BeiJing games, it seems to be still lost in translation! 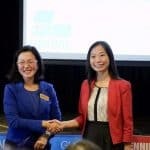 Back from the international stage and the focus of world attention, to multilingual, multicultural Melbourne (supposedly the largest Greek city outside Greece), it was a humble Chinese interpreter and an unlucky Chinese visitor who were singled out by Customs and Immigration for examination. Sometimes it helps to be an interpreter who travels frequently and is a good talker. They let me off¾but would I mind interpreting for this visitor who had already been trying to explain himself for an hour? Australia: multicultural, multilingual, welcoming, but with no interpreters on hand to offer language assistance. ‘Of course!’ I said.